I won’t leave you Kindle! The best e-reader that I’ve been using for 5 years now. 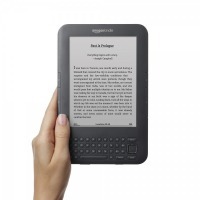 Is there any sense to buy the old version of the e-reader? What can you do if there is something wrong with your battery or display? Hey everyone who is reading my review! I always loved reading books. When I was a child, a book was the best gift I could ever get. After I’d read all the fairytales of various nations and folks, I began reading my brother’s books. Koreans make this world go round - now they are here to present us a skin tint. I’ll tell you why this product has become my favorite foundation.